Want to get more fat-burning mileage out of your workouts? Want to lean out— without feeling like you have to be on a hamster wheel to get results? Want to get more toned and build muscle with minimal effort? 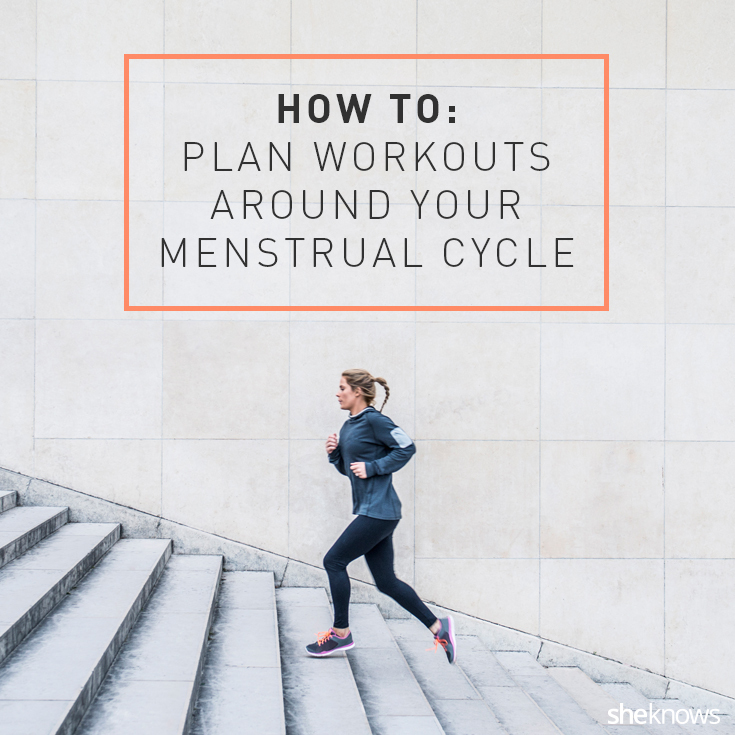 You can… by syncing how you exercise with your menstrual cycle. We talked with naturopathic doctor, personal trainer, female hormone expert and co-author of Lose Weight Here, Dr. Jade Teta — who offers a practical guide on how you can use your menstrual cycle to help you reach your health and fitness goals. And, if you’re perimenopausal, menopausal or post-menopausal, he offers guidance here too. The menstrual cycle is measured from day one of your period up to day one of your next menstrual cycle. The length of the average menstrual cycle is 28 days (though cycle length can vary anywhere from 21 to 35 days). On day one of your cycle — the day when bleeding starts — both estrogen and progesterone are low. During the first part of your cycle (days 1-14), progesterone remains low as estrogen begins to rise, peaking around day 14. Mid-cycle is typically when you would ovulate: the follicle, stimulated by the luteinizing hormone, releases the egg. The follicle becomes the corpus luteum, which produces progesterone. The first part of the menstrual cycle can be thought of as estrogen-dominant. After ovulation, on days 15-28, estrogen decreases as progesterone rises. You can think of the second part of the menstrual cycle as being progesterone-dominant. This continual rise and fall of estrogen and progesterone has an effect on fat storage and fat burning. These two hormones also influence two primary fat-regulating hormones — insulin and cortisol. Estrogen decreases insulin’s capacity to store fat, making the body more sensitive to insulin. Both estrogen and progesterone help buffer the negative effects of cortisol, the stress hormone that promotes fat storage. When estrogen is rising during the first 14 days of your cycle, your body will have a higher tolerance for more exercise overall. It’s an ideal time to focus on weight training. According to Teta, estrogen is an anti-stress hormone; a fairly good anabolic hormone (meaning that estrogen encourages cellular growth and contributes to building muscle); and an insulin-sensitizing hormone, which means that you’ll be less likely to store fat. 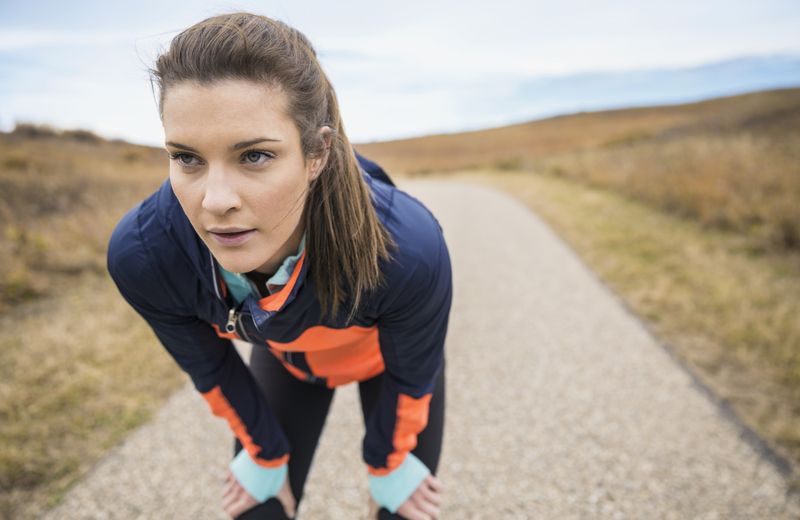 As progesterone rises and estrogen falls the two weeks after ovulation, or during days 15-28, your body will have less tolerance for too much exercise. Aim to pair higher intensity and shorter duration exercises (like heavy weight lifting) with moderate-intensity and longer duration cardio — and lots of leisure walking on most days. With higher progesterone levels, Teta advises going easier on exercise and lowering your carbohydrate intake. During this time, you are less insulin sensitive, which means that consuming carbohydrates (especially refined sugars and starches) — in excess of what you need — will likely be stored as fat. The hormonal shifts that eventually lead to menopause can begin from age 35 — though many women “feel” these shifts in their 40s. This transitional period is known as perimenopause. You’re still getting your period, but there may be wild fluctuations in your estrogen and progesterone levels that affect your mood, body temperature, mental focus, sleep and appetite. Perimenopause is very much like experiencing prolonged premenstrual syndrome, says Teta. Estrogen and progesterone begin dropping, but estrogen levels are higher relative to progesterone. Because progesterone levels are not as high as they should be, a woman will usually be in an estrogen-dominant state. “This means that perimenopausal women tend to have increased food cravings. During perimenopause, hormonal changes also affect the thyroid and adrenal glands, which — when combined with lower levels of estrogen — contribute to insulin resistance. This means that perimenopausal women are less able to tolerate carbohydrates and more likely to gain fat,” explains Teta. If you’re in perimenopause — and losing weight is a health goal — it’s important to not overexercise and to decrease your carbohydrate consumption. Too much exercise increases hunger and cravings, especially for starchy carbohydrates. But, your body will be less likely to burn them during perimenopause. In menopause and beyond, both estrogen and progesterone are low. You are not ovulating, and you will not have had a period in the last 12 months. At menopause, the wild hormonal fluctuations of perimenopause have stabilized. However, with the dramatic decline in estrogen and progesterone, your levels of cortisol (the stress hormone) can escalate. Your body becomes much more sensitive to stress — and this includes too much exercise. Overexercising — like engaging in daily, long-duration cardio, CrossFit or weight training — without adequate rest periods can lead to increased fat storage, weight gain and muscle loss. Low estrogen levels in menopause and post-menopause also mean a high likelihood of insulin resistance — even if you eat the same amount of calories that you always have. “This means that you really won’t be able to consume as many carbohydrates as you did prior to menopause — especially if weight loss is a goal,” says Teta. During perimenopause and menopause, the key is to take a “Goldilocks” approach to exercise — not too much, not too little, just enough for you. And your exercise regimen should include plenty of rest and recovery activities, like walking.